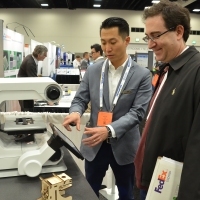 The American Society for Cell Biology and the European Molecular Biology Organization have joined forces once again for the 2018 ASCB | EMBO Meeting. 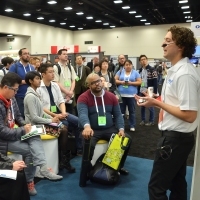 Taking place December 8-12 (Exhibit Dates: December 9-11) at the San Diego Convention Center in San Diego, California, this is your opportunity to reach leaders in the global cell biology community. 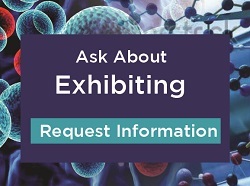 Thousands of researchers will be looking to purchase your products over three days of exhibits with dedicated exhibit hours. 6,300+ Attendees! Network with scientists looking to purchase your products and services. Dedicated Learning Center (Exhibit Hall) Hours! From 12:00 – 3:00 pm each day, no other scheduled events will take place outside the Learning Center (Exhibit Hall). The Learning Center is the center of the action! 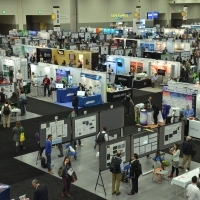 Educational, career, and scientific programs, plus posters all take place there. Interaction and hands-on experience! Arrange talks and demos inside your booth for up to 20 seats. Exhibitor Tech Talks! 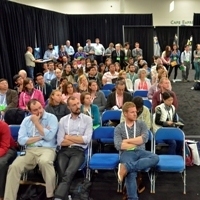 Always popular with the attendees, Tech Talks bring up to 200 attendees to each demonstration. 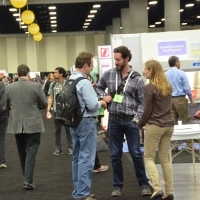 Boost Your Presence on an International Stage • Interface with 5,500+ Scientists.